1. Granting the settlers control over the construction of settlements and over Israel’s authority in the West Bank, while allocating more funds to the settlements. 2. Passing legislation and reforms that change the democratic rules of the game. 3. Allocating public funds to bolster the political power of the Israeli Right. This agreement, which includes a Jewish Home stronghold on a variety of positions directly related to settlement development, constitutes a clear danger to the possibility of arriving at a two state solution and illustrates the true intention of the current government – massive settlement expansion and the silencing of opposition to the occupation. 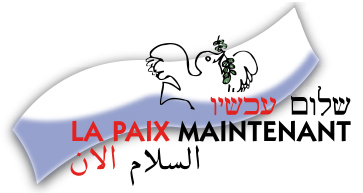 Peace Now continues to work in order to preserve the possibility for a two state solution – through Settlement Watch, through education, through advocacy and through direct action – today more than ever before we are the gatekeepers of the two state solution. To make a donation, click this link. For further information, please call: 416-322-5559. CFPN is a Zionist organization that is dedicated to enhancing the State of Israel¹s security through peace and to supporting Israel’s Peace Now movement. CFPN has chapters in Toronto, Montreal and Ottawa.